In her eighth book of poetry, Betsy Struthers confronts the night – its dreams and terrors, promise and betrayal, above all, returning to its delights. 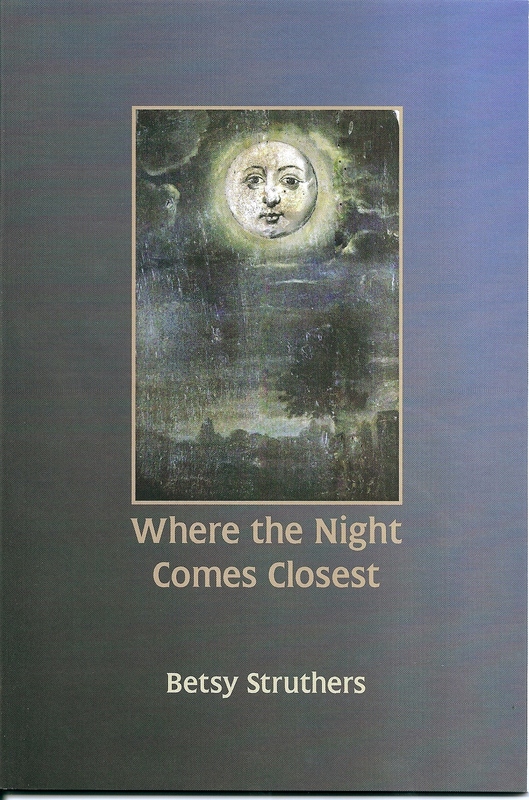 The moon in these poems is more than an empty face, it is a vital and compelling presence, a chalice of memory that tugs at the tides of experience, hunger, and desire. Struthers deftly navigates the shifting language of relationships and the way we communicate, from the shadows of our ancestral beginnings through meditations on contemporary life. In landscapes both urban and rural, she explores the commonplace and the exotic, the ruins of the past and the vagaries of the present, reminding us that assurance exists only where the night comes closest – the touch of a lover’s hand in a strange hotel room, the grace of a loon in the liquid twilight – and finally how life is lived in so many moments, in the fullness of moons, under the watchful eyes of the stars.